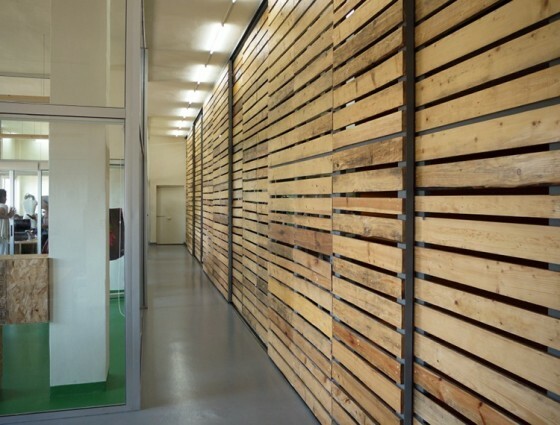 Avatar Architettura decks out a working space for fashion designers with chic recycled wooden pallets. 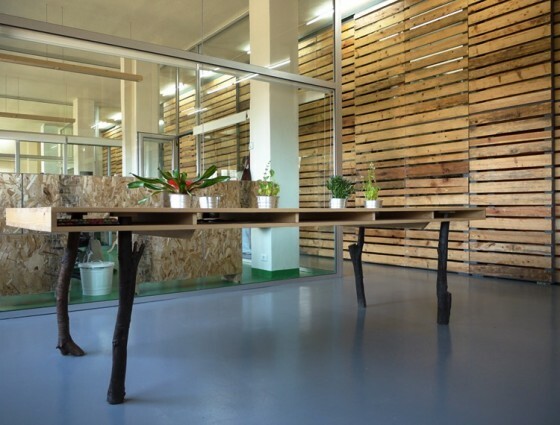 Avatar Architettura has decked out a working space for fashion designers in Beirut with recycled wooden pallets otherwise destined for one of the city’s notorious landfills. Known for strategies that “privilege ecology, flexible systems, biodiversity, and recycled materials in an urban context,” the Italian designers used the pallets to transform a 220 square meter space into a striking but highly flexible office and workshop. The working space is situated in an undistinguished industrial building in Beirut, belying the well-lit haven hidden inside. 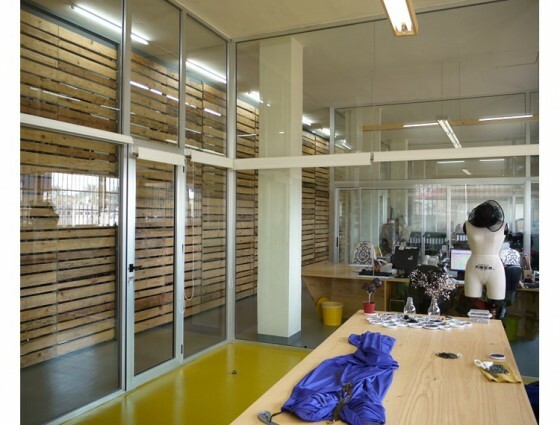 The pallets are used to construct a dividing wall that is far more inspiring than the standard off-white office cubicle so typical in less-imaginative corporate offices. At present the divider separates a private work space enclosed by glass from two different common areas where the designers take their meals, brainstorm, and work together. But the recycled wooden wall is also designed to be modular so that if necessary, this internal configuration can take on a new shape without having to take a sledgehammer to permanent walls. Unique furniture items made from shipping pallets and other recycled materials green up the aesthetics even further, but all with a minimalist bent so contrary to the kind of extravagant decor typically favored by an earlier generation of Arab creatives. Instead of plush velvet pillows and curtains, the recycled Loft in Beirut features natural materials, plenty of daylighting, and a distinct industrial-chic that is certain to catalyze awesome design ideas. And the best part? Anybody can scout out discarded wooden pallets to make similar recycled furniture at their own home or office for a steal!